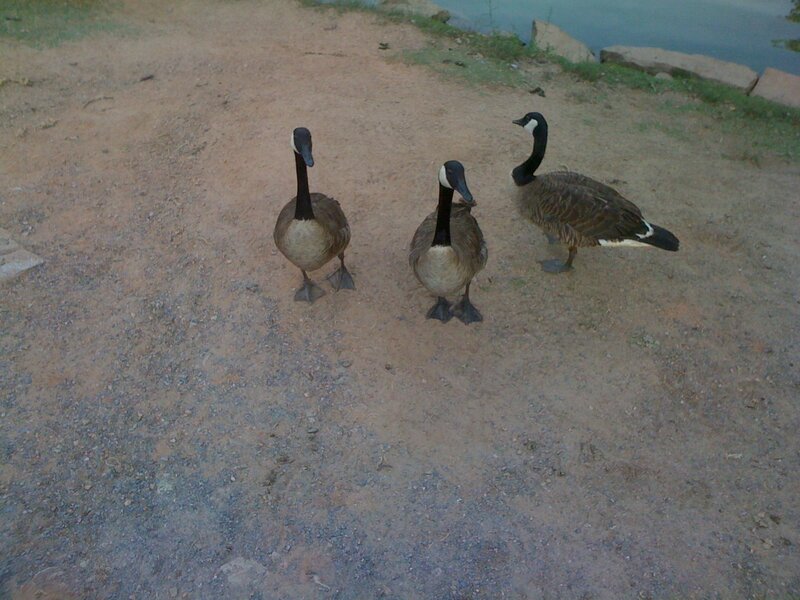 From a distance, Canada Geese are gorgeous. 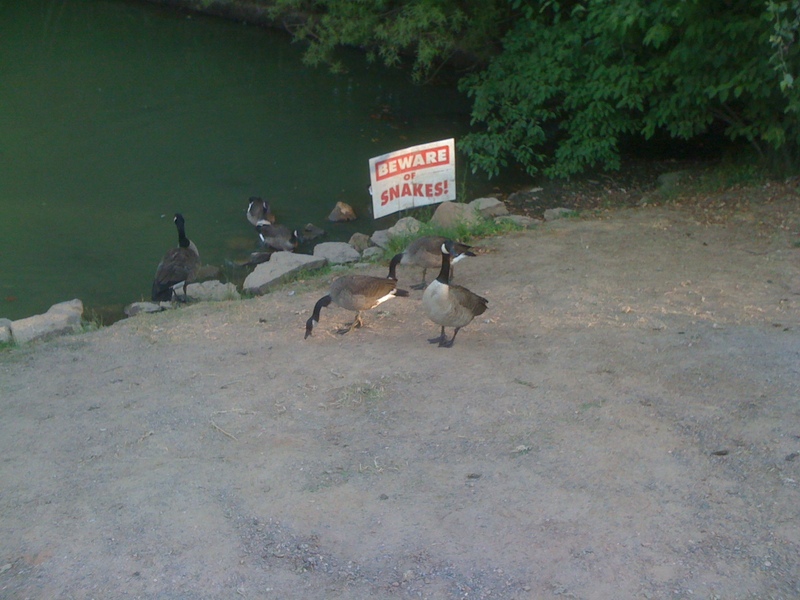 Up close, they hiss. They stink. And, make giant mounds of poo all over the hiking trail. Many of these filthy, stinking beasts are also mangy. 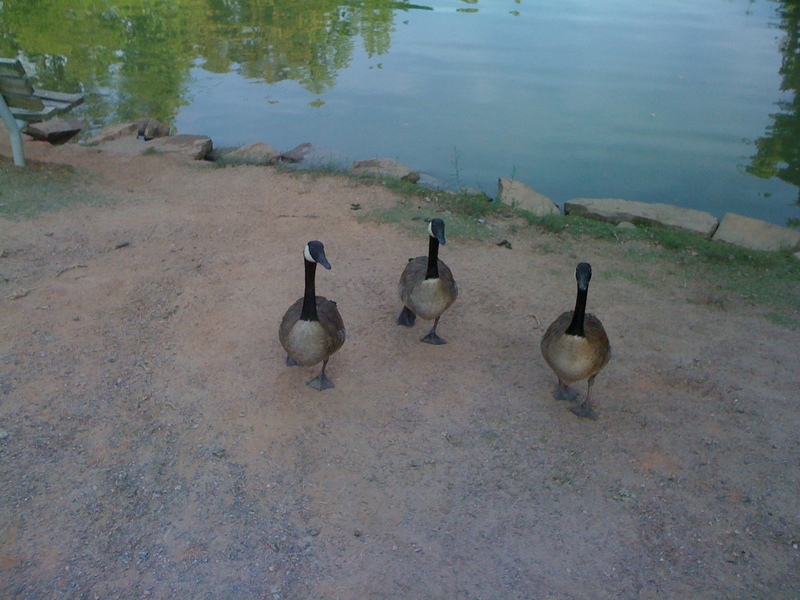 The ducks were cute. The turtles, too. 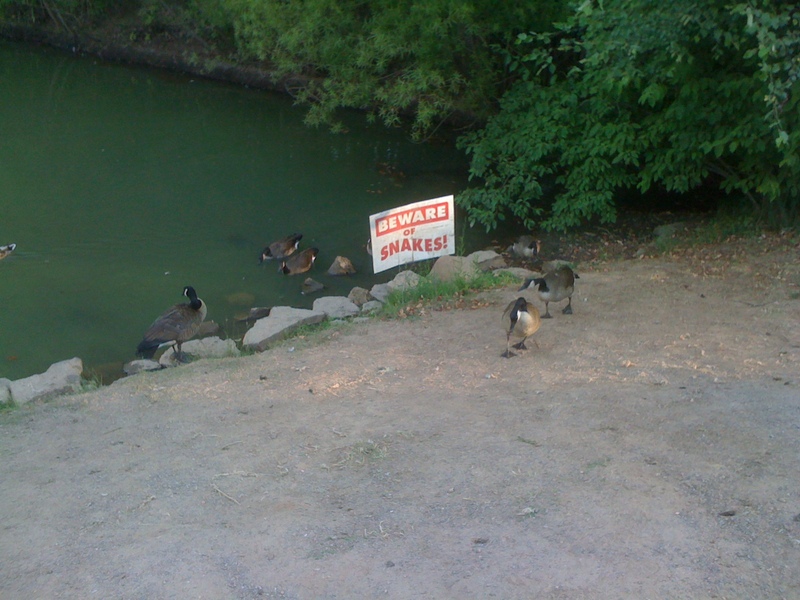 Not the geese.